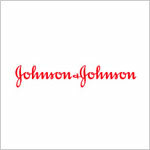 Founded in the year 1886, Johnson & Johnson is an American company dealing with genuine pharmaceutical and packaged consumer goods. The company has it’s headquarter located at New Brunswick in New Jersey. The company has gained popularity as the leading manufacturer of innumerable household medication and first-aid product supplies. The baby products are worthy of mention in this regard. The company achieved a great feat on December 31, 2012, when the Food and Drug Administration approved the product of Sirturo, a drug to cure tuberculosis, which has been invented by the company. It is declared as the first new medicine that will help to fight the infection of tuberculosis. There are currently 0 consumer reviews about Johnson & Johnson available. Share your review. Please take a note that you are about to post a public review about Johnson & Johnson corporate office on CorporateOffice.com. This review will be public, so please do not post any of your personal information on this website. If you would like to contact the corporate offices of Johnson & Johnson, please use their contact information such as their phone number, website, and address listed above to contact them. However, sometimes staff from Johnson & Johnson headquarters do read the reviews on this website.